Generally speaking, the cost of buying real estate in the US is 2%, from the total value of the property that we intend to purchase if purchased for cash. If you need to take out a mortgage with an American bank, you have to count about 5% of additional costs, the total value of the property. In Florida, there is no real estate tax, as in some European countries, however, we must consider annual taxes for maintaining real estate within 2% of the property (including HOA and Real Estate Tax). See the chapters below. Notary costs: notary public, entries in land and mortgage registers, from $ 300 to $ 3,000 depending on the price of the purchased property, legal status of the real estate, mortgage, etc. The exact sum of notarial costs can only be given on the example of a specific property that we intend to buy. Ownership of real estate in Florida is associated with costs borne by the owner of the house or flat. While watching the property, we will inform you exactly what are the costs of maintaining a given property, on a given housing estate or urbanization. When buying an apartment or flat in Florida, you will meet with the term (HOA) or “Homeowners Association“. This, in the simplest terms, “rent”, which we are obliged to pay after purchasing real estate on a given urbanization or housing estate. Usually, it is charged monthly or quarterly. Depending on the standard, location and location of the property, it is from $ 100 to $ 400 a month. In luxury estates and ultra-luxurious urbanization, this cost is higher. The cost of fees (HOA) includes maintenance of swimming pools, lawn care, maintenance costs of concierge or guards, sometimes gym, fitness club within the estate, estate insurance, maintenance of green areas, elevators, pruning vegetation, etc. The exceptions are individual homes and villas where there is no fee (HOA). Annual fee for owning real estate in the US, which is the equivalent of our real estate tax. This tax is payable once a year. What does the property 55+ mean? When browsing property in Florida, sooner or later, you will come across the term “55+”. What does it mean? These are housing estates (condominiums, in short called condo), where to buy real estate, and people can live only after the age of 55. As a rule, these are much cheaper properties, however, special rules apply when acquiring such properties. It is sometimes compulsory to purchase a membership in a country club or membership in a golf club. Each estate has its own rules. The residence and purchase of this type of real estate in Florida is regulated by law, called The Housing for the Older Person Act, in short (HOPA). In the case of the purchase of real estate located on the Florida golf courses, the payment of the so-called Membership Fee, i.e. buying a membership on the golf course. Often, this type of payment is in the amount of $ 50,000 to $ 70,000. Often this is more depending on the prestige of the golf course. Not all settlements are required for this type of payment, from the person intending to buy a house on the estate with a golf course. Usually, this is a one-off payment that must be made by the future owner of the house or apartment if he wants to live on this type of housing estate. It happens that the real estate itself is very attractive in terms of prices, and Membership Fee is extremely high. Not all real estate agencies inform the customer, this type of information, before watching a particular property. It is often possible to later “resell” Membership Fee during the sale of real estate. A very good idea for generating passive income may be renting a property we purchased in Florida. 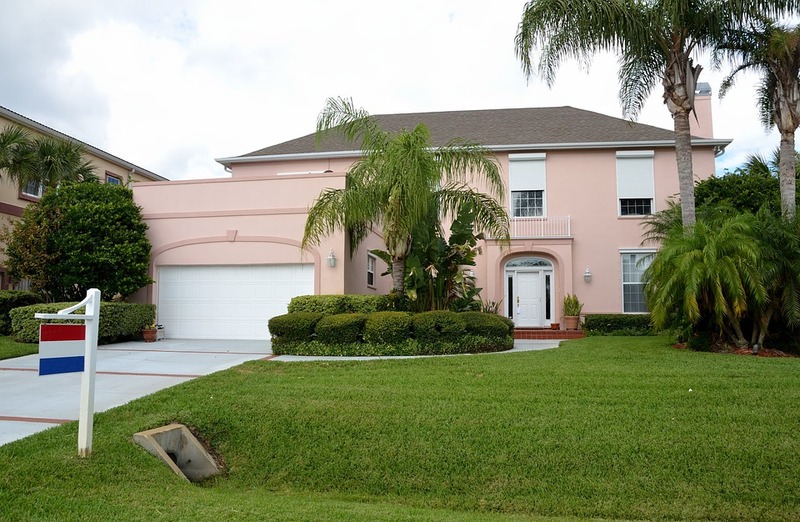 Both holiday rentals in Florida as well as long-term rental. Rental of real estate in Florida is associated in some cases with restrictions and restrictions depending on the housing estate or urbanization on which the property you are going to buy is located. The American rental market is one of the “strongest” in the world. Generally, in the Miami area, up to West Palm Beach, there is a huge demand for “long term rentals”. In the case of some estates, there are restrictions related to long-term rental. It happens that for example the first 2 years, from buying real estate, you can not rent a given property, or it may be available, only short-term rental and holiday rental. Americans and Canadians love to go “for the winter” to Florida. Sometimes they stay here for a few months. In this case, you can rent a property for a short period, so-called “short let”. How many weeks do I have to rent my property to cover the cost of maintaining a Florida property? Unfortunately, there is no unambiguous answer. It depends mainly on the location of the property, the standard of the house, villa or apartment, furniture, proximity to the beach, etc. However, real estate in good locations, close to the beach, tourist attractions and “good locations” are easier to rent and because of things, there is more potential in them.